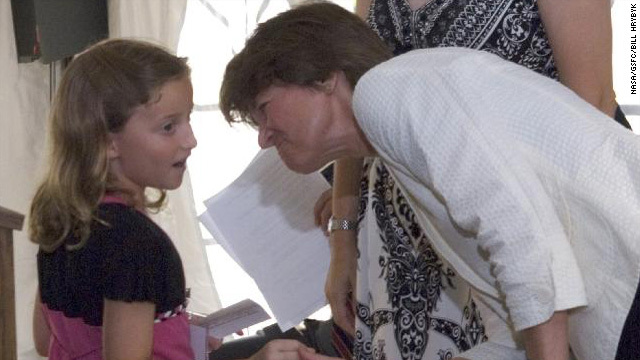 "In this photograph from July 2008, Dr. Sally Ride, who visited Goddard Space Flight Center for a tour and speech, greets a young fan on the stage. Dr. Laurie Leshin, the Goddard Space Flight Center's Deputy Director for Science and Technology, is in the background. Dr. Ride, NASA's first female astronaut, died on July 23, 2012, after an illness."